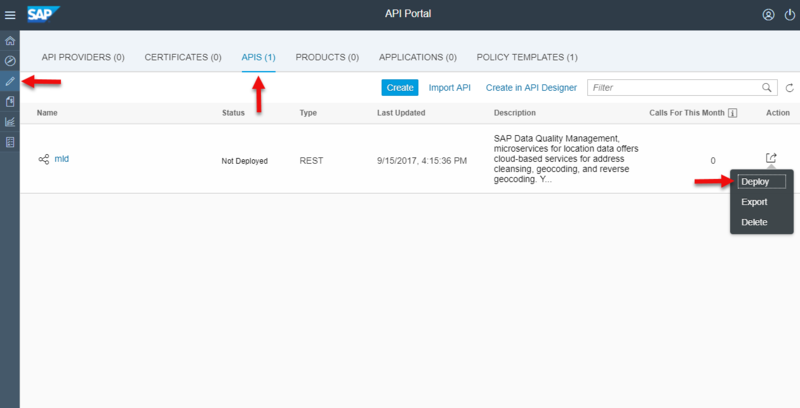 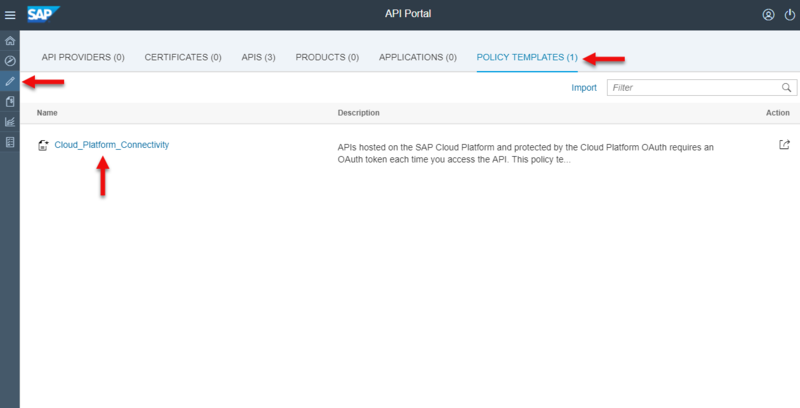 In this blog, we will consume the SAP cloud platform connectivity policy template available in the SAP API Business Hub. 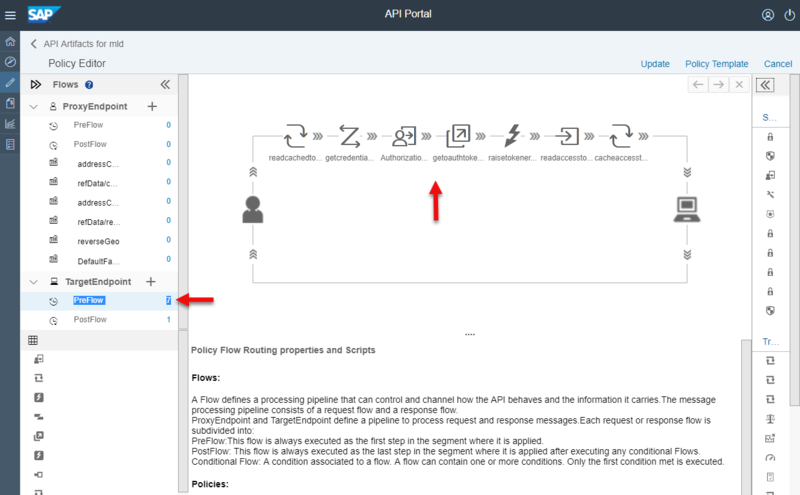 A policy template is basically a collection of policies and helps the reuse of policies built for a particular use case, thereby reducing time and effort. 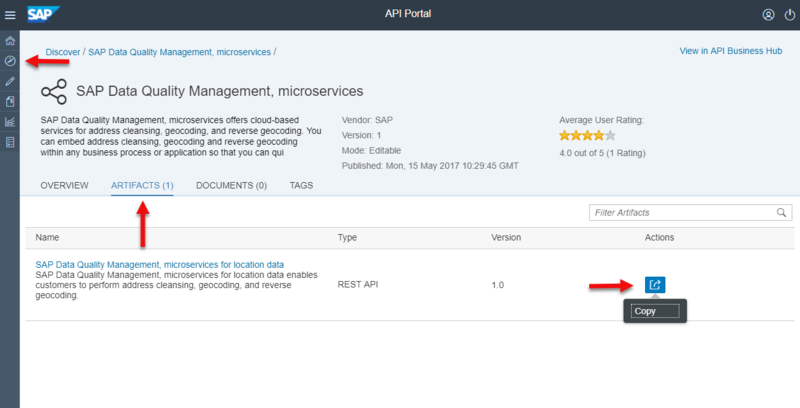 We will see how the use-case described in Part 4 of the series can be achieved easily. 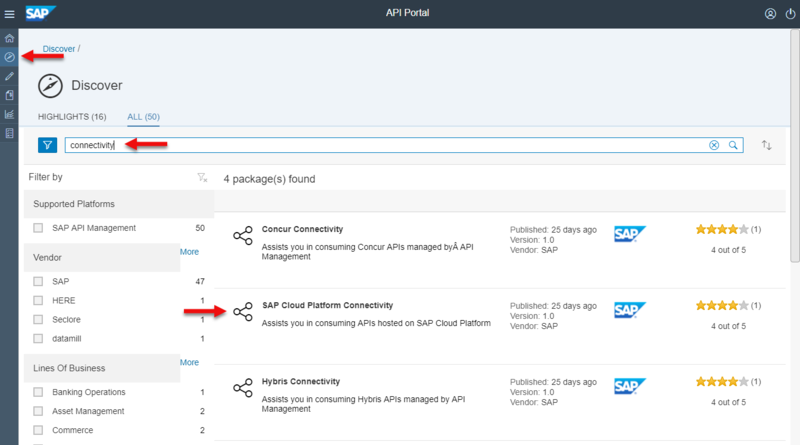 Open the Discover page in the APIPortal & search for the term ‘ connectivity’, select ‘ SAP Cloud Platform Connectivity ‘ in the results displayed. 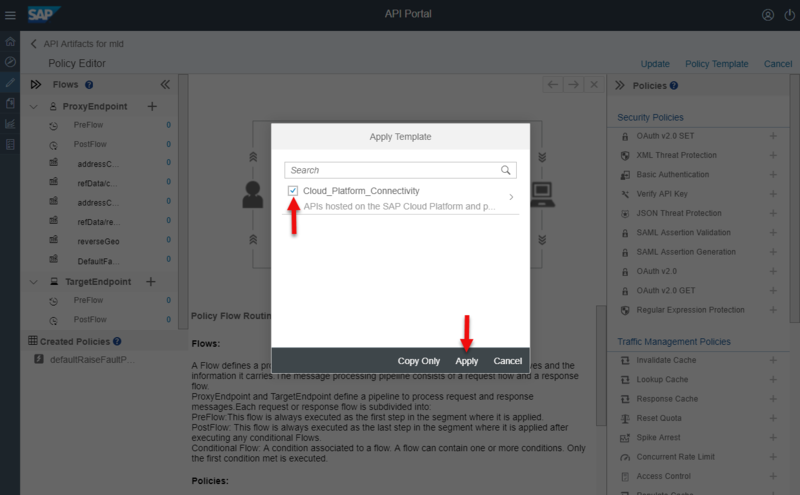 Navigate to the Artifacts tab, click on the Actions button associated with the Cloud Platform Connectivity policy template & select Copy. 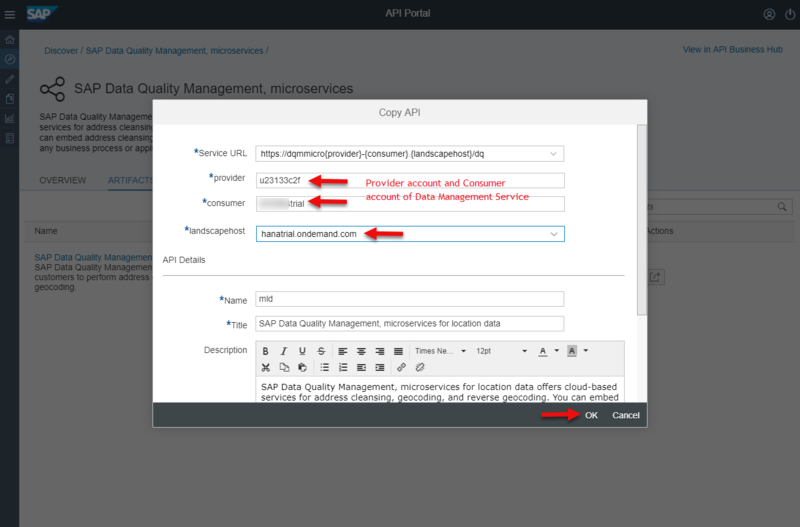 Similarly, copy the Data Quality Management API to the APIPortal from the Discover page.